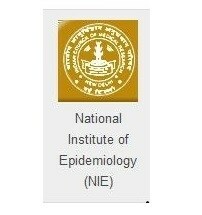 National Institute of Epidemiology Recruitment Notification 2018.NIE inviting applications for the positions of Project Technician & Nurse.Interested and Eligible candidates can apply for the positions. Diploma in nursing or midwifery with 2 years experience from a recognized institute holders can apply for junior nurse post. Maximum age for project technician post is 30 years, junior nurse post is 28 years. Age relaxation for SC/ST is 05 years, OBC is years. Selected candidates as Project technician and nurse will get pay of Rs.17,520/- per month. On basis of written test and interview candidates will be selected. On 27th September 2018 along with all essential documents may appear for NIE recruitment. NPSP Unit, O/o CH & HW, DMHS Campus, Sultan Bazar, Koti, Hyderabad.